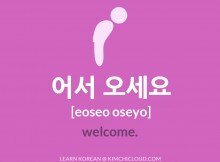 [KWotD] – What Does 만약 Mean? 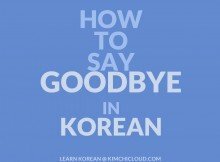 만약 is (similar to 하마터면 which we covered a while ago) an optional part of the grammar pattern -(으)면 that you can use for emphasis and to make the listener/reader expect that a conditional (if) expression will follow. 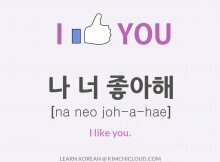 It is synonymous with 만일 so you can use them interchangeably in the context of condintionals. 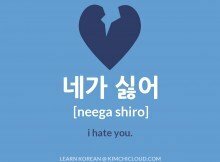 Don’t forget to check out our lesson on the -(으)면 grammar pattern if you haven’t already done so! 만약 눈이 온다면 집에 있을 거에요. 만약 감기에 걸리면 집에서 쉬어야 해. = In case you catch a cold, you should rest at home. = I guess I should prepare, just in case. Please like or share if you found this lesson useful. And if you have any questions or something else on your mind, make sure to let us know by leaving a comment and we will do our best to help you out. 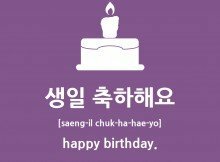 [KWotD] – What does 비켜 mean?